Use this Sea & Sea Zoom Gear to control manual zooming with your Nikon AF-S DX Zoom NIKKOR ED 12-24mm f/4G (IF) lens in a compatible lens port, which mounts onto an MDX or RDX underwater camera housing. For compatibility, see MDX System Chart and RDX System Chart. Manual focus cannot be used when this zoom gear is in place. The gear mounts onto the zoom ring of the lens and is controlled via the focus/zoom dial/knob on the housing. It is constructed from a corrosion-resistant aluminum alloy. 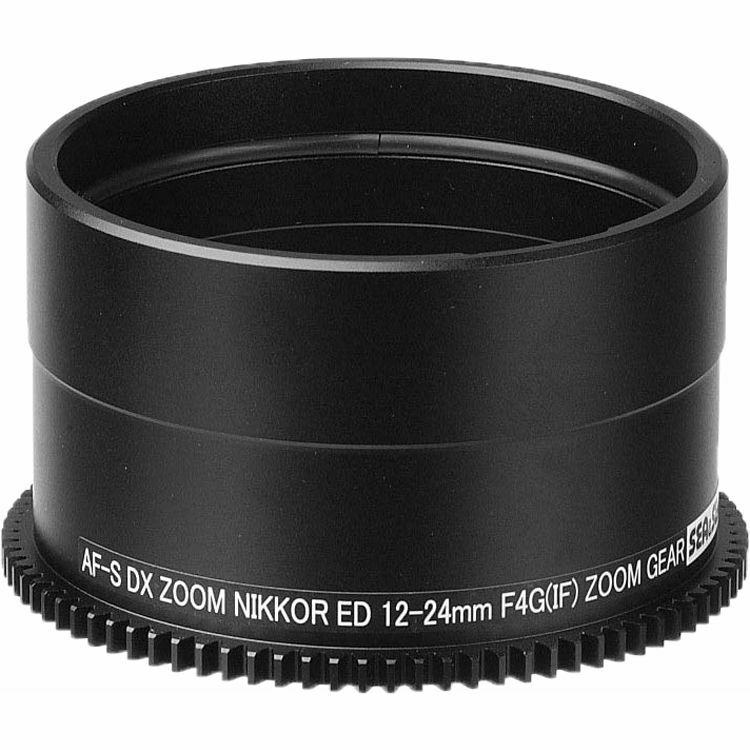 Box Dimensions (LxWxH) 5.7 x 3.9 x 3.7"
Zoom Gear for Nikon AF-S DX Zoom NIKKOR ED 12-24mm f/4G (IF) Lens in Port on MDX or RDX Housing is rated 4.0 out of 5 by 1.